VP Central, Patrica O’Brien-Price was instrumental in the organisation of Swim Clinics that were held on four consecutive Sundays in November 2018 at the Maryborough Aquatic Centre. 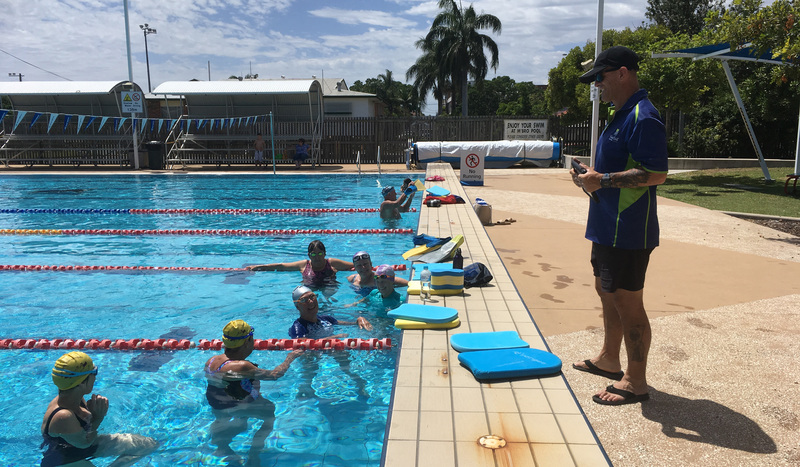 Fraser Coast Swim Coach, Ray facilitated the clinics. Participants attended over the four weeks, with several members of the public expressing an interest in joining the club. The existing members were so impressed with the dedication of Coach Ray, that he has been retained by the club to provide stroke correction and training every Sunday morning. This has expanded the activities offered to members and potential members. Thanks to the Maryborough Masters and Aquatic Centre Staff who actively assisted in promoting these swim clinics. Overall this was a very successful Swim into Spring campaign. Thanks and congratulations to Maryborough Masters!